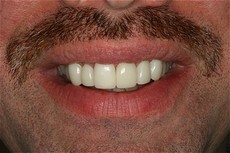 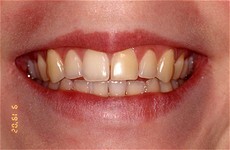 This is an example of the drastic change one can achieve in a smile using Lumineers. 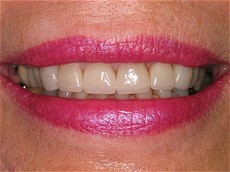 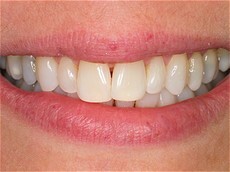 An outstanding result with the use of an at home teeth whitening system. 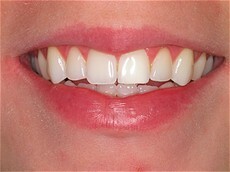 This patient had an excellent result from using an at home whitening gel in a custom tray for 7-10 days. 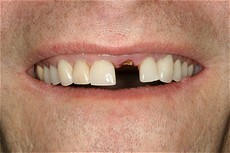 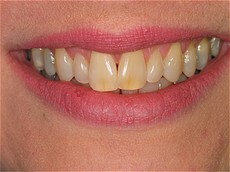 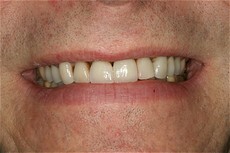 This patient had old, defective veneers that required replacement. 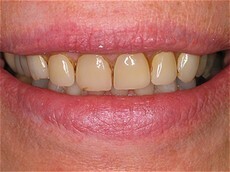 Patient had a missing upper molar replaced with a single tooth implant.